On September 13 Scooby Doo will celebrate the 40th anniversary of its TV debut. Since its debut in 1969 the cartoon series has been reincarnated many times in animated form and twice for live film. It’s eleventh incarnation called Scooby-Doo – Mystery, Inc. is scheduled to debut this fall on the Cartoon Network. Scooby Doo is an ageless, timeless cartoon. Scooby Doo, Shaggy, Freddy, Daphne and Velma have been entertaining generations of kids. They cruise around in their van solving mysteries that usually debunk ghost stories and end with catching bad guys, and most of the time making Scooby the accidental hero. And everybody loves to do their own Scooby impression. “Rooby Roo, Rhere are Roo”? My girlfriend Joann, remembers the year Scooby Doo aired. She was 10 years old. Today, she is the grandmother of a two year old boy. Not only is he a third generation Scooby Doo fan but he is wearing a Scooby Doo Costume this Halloween that she purchased from Costume SuperCenter. And thanks to DVD’s her grandson gets to spend time with grammy watching the same episodes her and his mother grew up on. 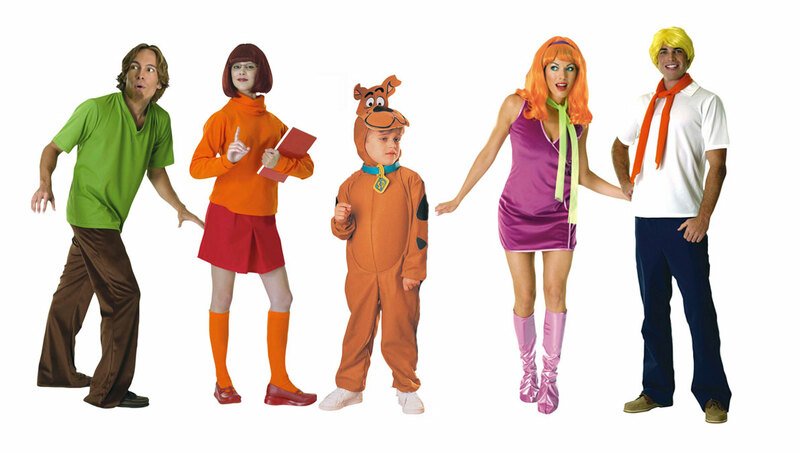 Costume SuperCenter carries the Scooby Doo kids Halloween costumes but also features them in adult Halloween costumes. Even my own daughter dressed as Scooby Doo when she was 3. We watched that Miner 49er episode until we had it memorized ver batem. Year after year it is a bestselling Halloween Costume.